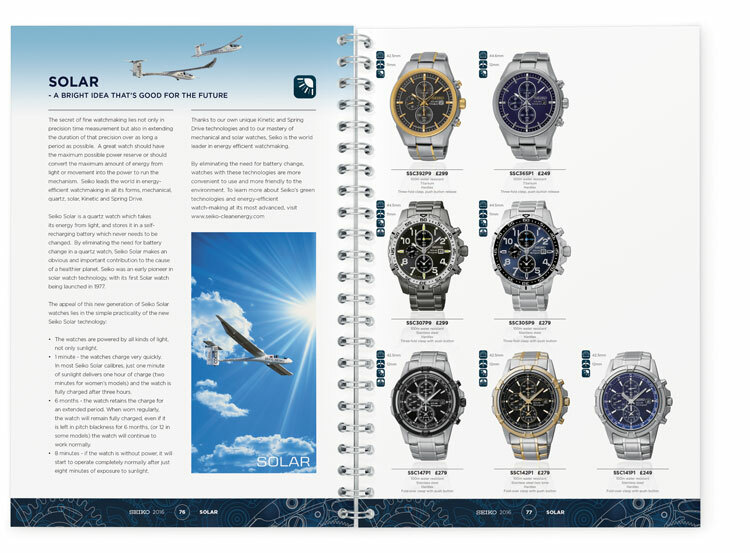 Progression Design were once again approached by Seiko to design and produce their watch catalogue. 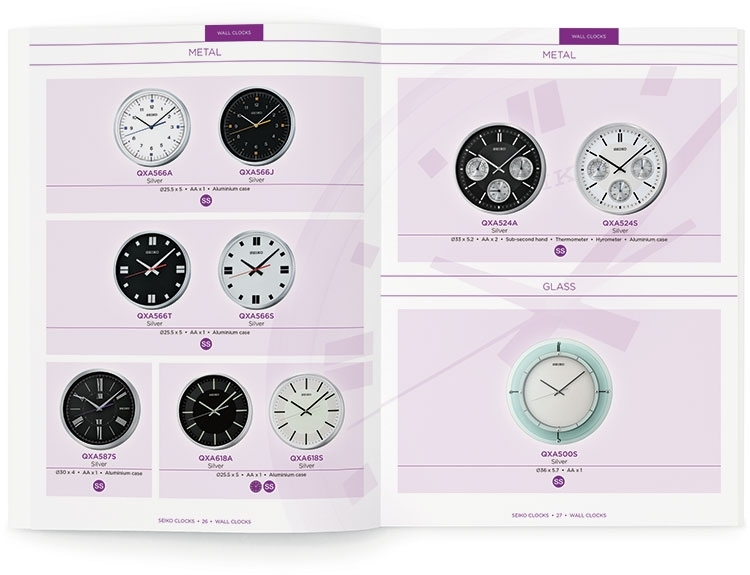 This 164 page catalogue not only shows all of the watches but acts as a function and historical guide to stockists. 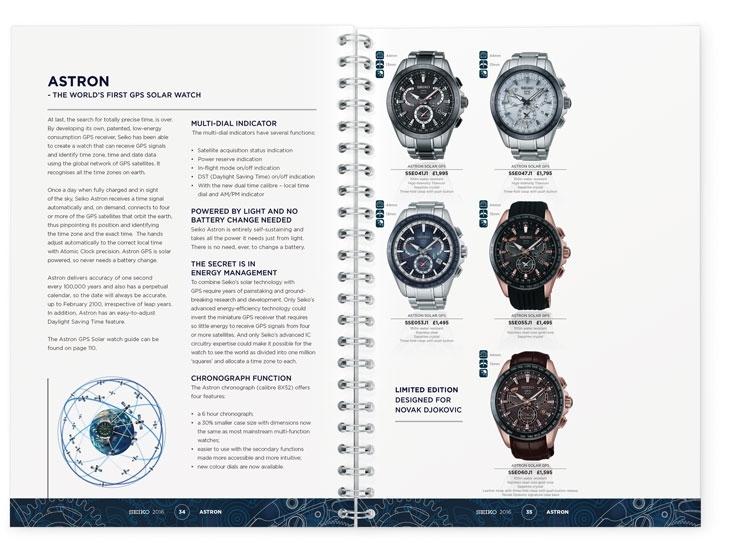 With over 400 watches within the catalogue Progression Design had to work closely with the Seiko marketing department to ensure specific watch details were accurately denoted. 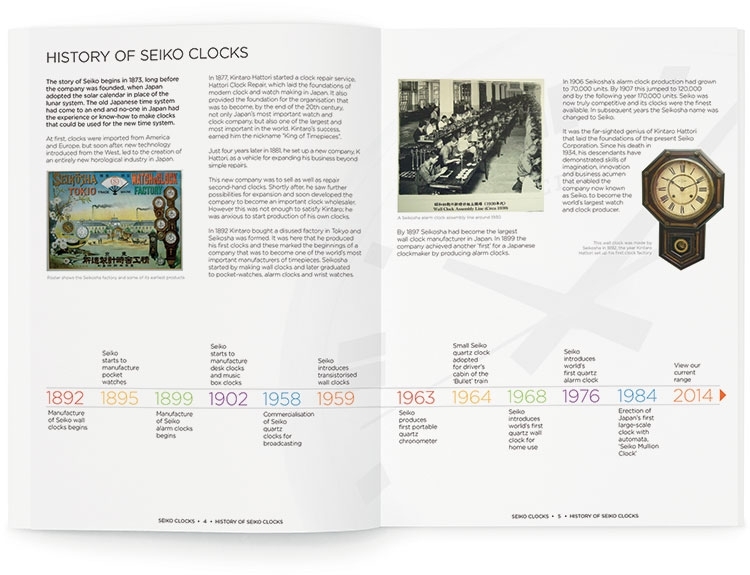 Working with supplied Excel files and linked imagery Progression Design ensured throughout the design and development process that constantly changing information was automatically updated; freeing up valuable time and giving piece of mind to the Seiko marketing team. The finished catalogue used metallic inks throughout along with a spot varnish on all watch images to convey the premium feel required. 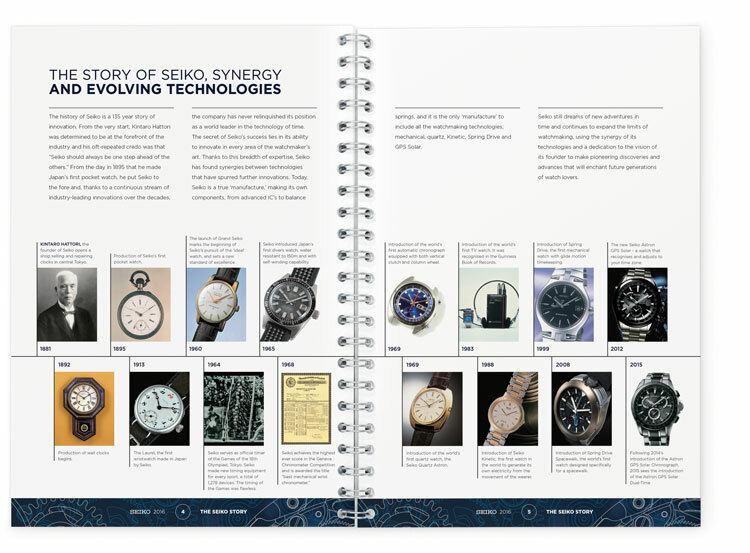 Coupled with the required finish Progression Design also worked to bind the catalogue via a Canadian spiral binding technique; thus allowing the user to use the catalogue multiple times throughout the year without the spine splitting, or the catalogue looking tired. 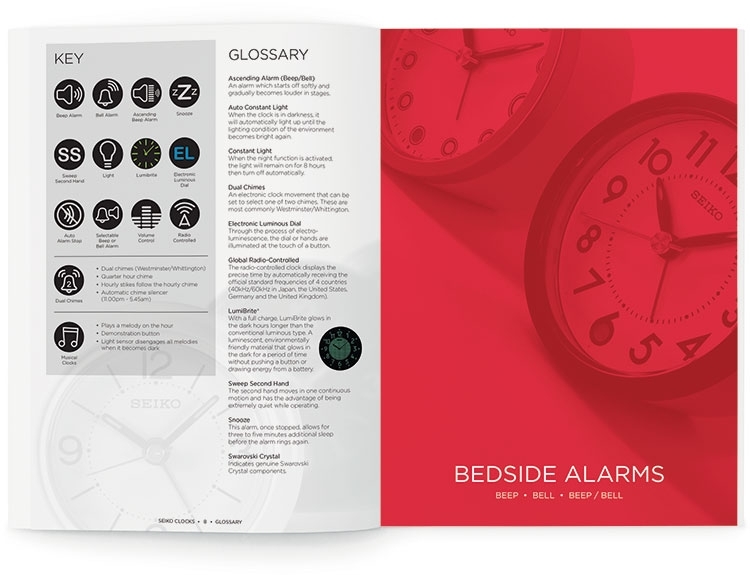 Progression Design, as well as looking after the design and artwork also produced and distributed the catalogue nationwide. 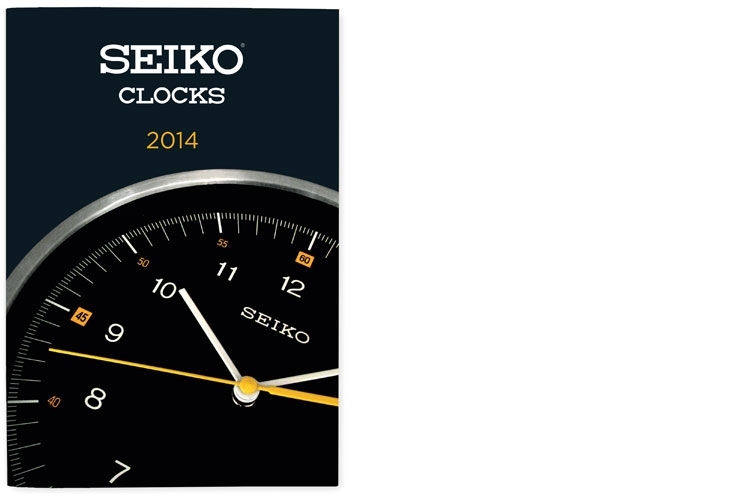 We have recently redesigned and produced the annual clock catalogue for Seiko. 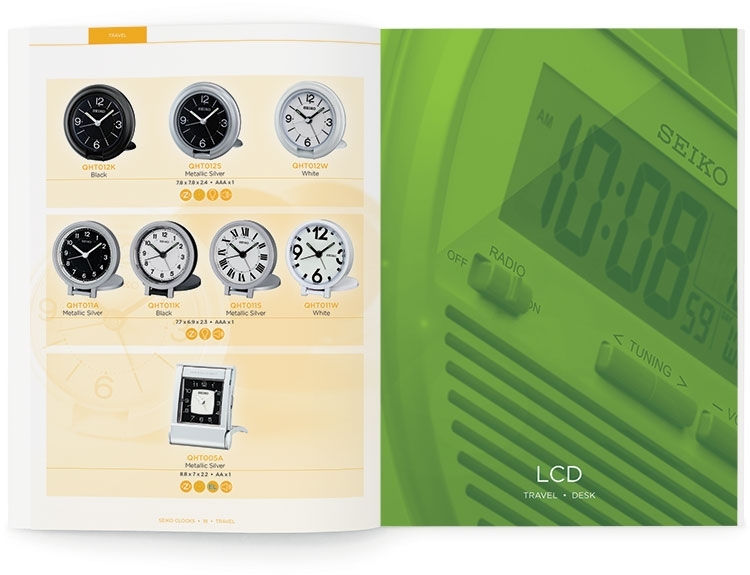 The brief was to update the current design to be more contemporary and appealing, while being easy to navigate and concise in its function as a catalogue.